Legal terms present a unique challenge to translators who don't have prior experience in the legal field. 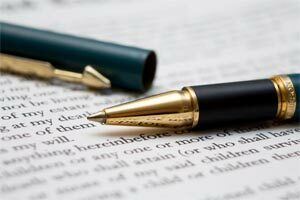 For this reason, it is important that when you need to translate legal terms in a contract or other document that you find a translator experienced in law, who can accurately convey the legal meaning of commonly-misunderstood terminology, jargon, and other terms that may be unfamiliar or confusing to the layman. Additionally, many legal terms are in Latin, which can be beneficial when dealing with international courts who use the same terms—as long as the translator is aware of the meaning and can use the Latin words in phrases accurately in the completed translation. an argument derived from previous event. attacking an opponent's character, rather than answering his or her argument. a writ used to challenge the legality of detention. a person's particular way of doing things. the obligation of a judge to stand by a prior precedent. And so on. If you have questions about the translation of legal terms, feel free to get in touch with us today and we'll get back in touch as soon as possible!